Time for a little night adventuring! Disney’s Animal Kingdom’s extended nighttime hours are right around the corner, including the debut of their new Rivers of Light evening spectacular. Now we have new details on the upcoming after-dark operations for fan-favorite Kilimanjaro Safaris. Apparently, the transition between daytime and nighttime experiences will not be formally announced on a daily basis. On top of that, the ride vehicles will utilize more exterior lights during excursions after dusk and special lighting will be added to the attraction’s landscape that will give the illusion of a sunset as night settles in. Flash photography will be strictly prohibited. It has also been reported that vehicles will travel an altered route and make longer stops after the attraction transitions to nighttime operations, bringing a dramatic increase in ambience to the already stunning experience. 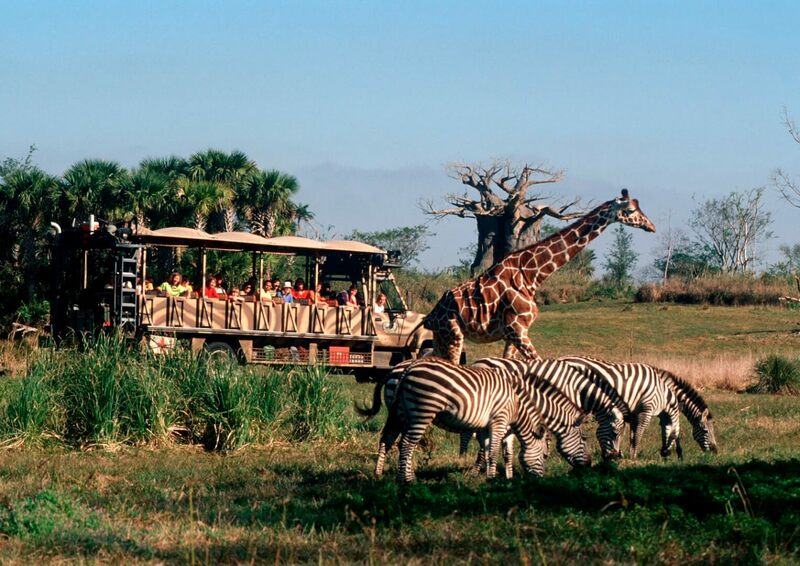 Other attractions such as Maharajah Jungle Trek, Wilderness Explorers, the Pangani Forest Exploration Trail, and Rafiki’s Planet Watch will continue to close at sunset. This is not unexpected, as the main events of the evening will focus primarily on the new nighttime attractions. Are you ready to dive into the jungle after dark? Let us know in the comments!